Too Cool! Brush Cow Cookie Jar and a Fiesta ‘Chop Plate’! 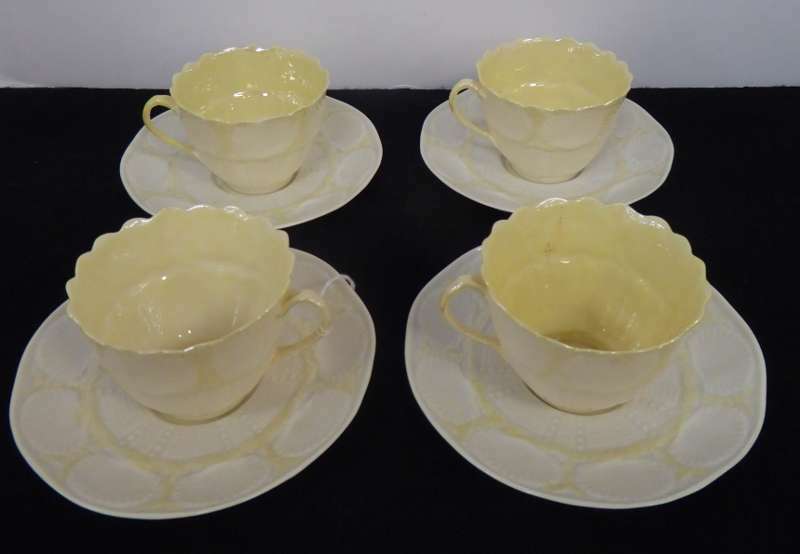 Fine Set of Belleek Tea Cups/Saucers – Reduced Price on the Mule Chest! Keep an Eye Out for Another FREE Appraisal Day in Early July. 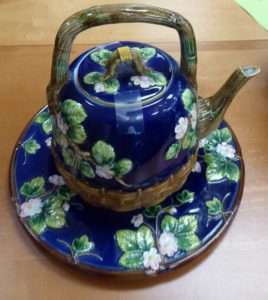 And (!) Cookies on the Weekends! Come Take a LOOK! Set of Four Belleek Cups/Saucers w Shell Pattern – Green Mark – Booth 411, $115.00. 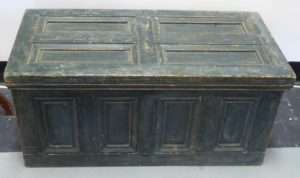 Mule Chest from Booth 99, c1800 – One Board Construction – $1200.00 (Reduced). 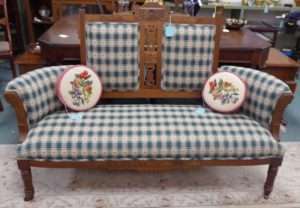 Eastlake Settee – Booth 210 – $325.00, Pair Needlepoint Pillows, $36.00. Early 19th Century Chest w Aged Buttermilk Paint – Booth 318, $1600.00. Majolica Type Teapot and Plate – Marked – Booth 33ha, $45.00. 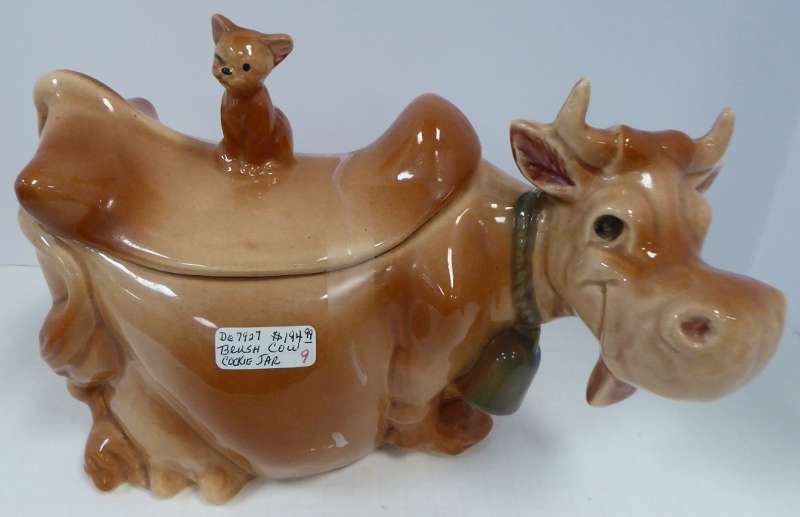 Brush Cow Cookie Jar – Booth 9, $194.00. 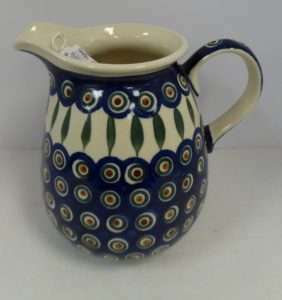 Polish Pitcher from Booth 199 – ‘Peacock Eyes’ – $42.95. 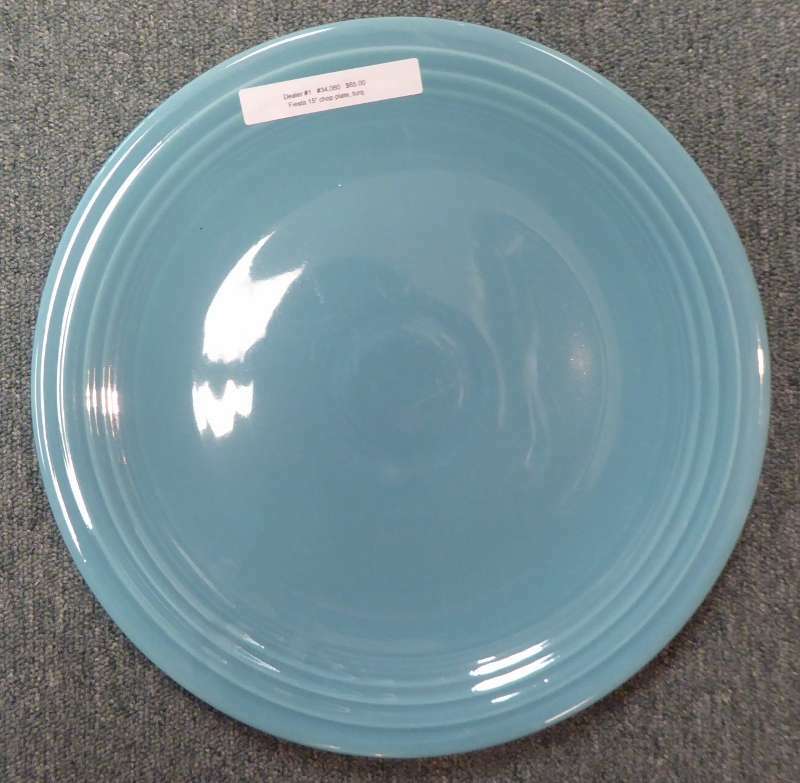 15 Inch ‘Chop Plate’ From Booth 1 – $65.00. 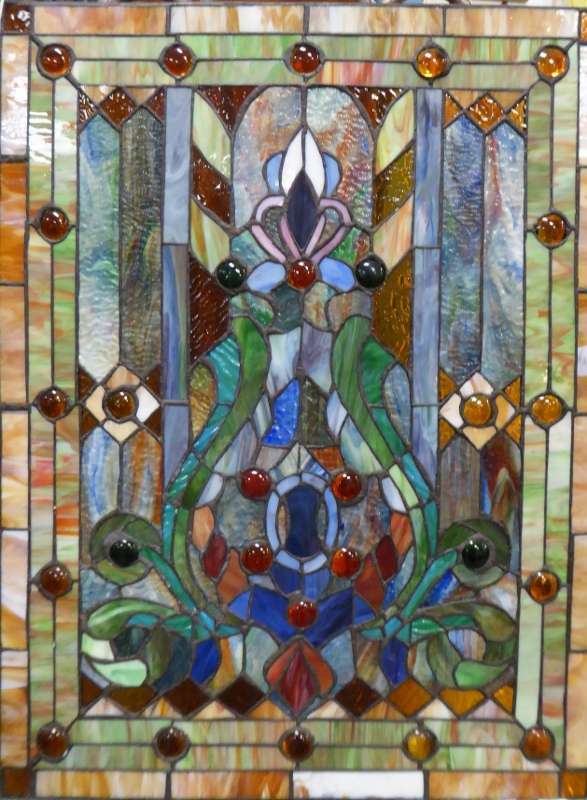 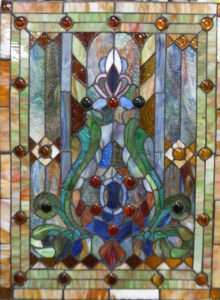 Stained Glass Window – Ready to Hang – $100.00 – Booth 37. 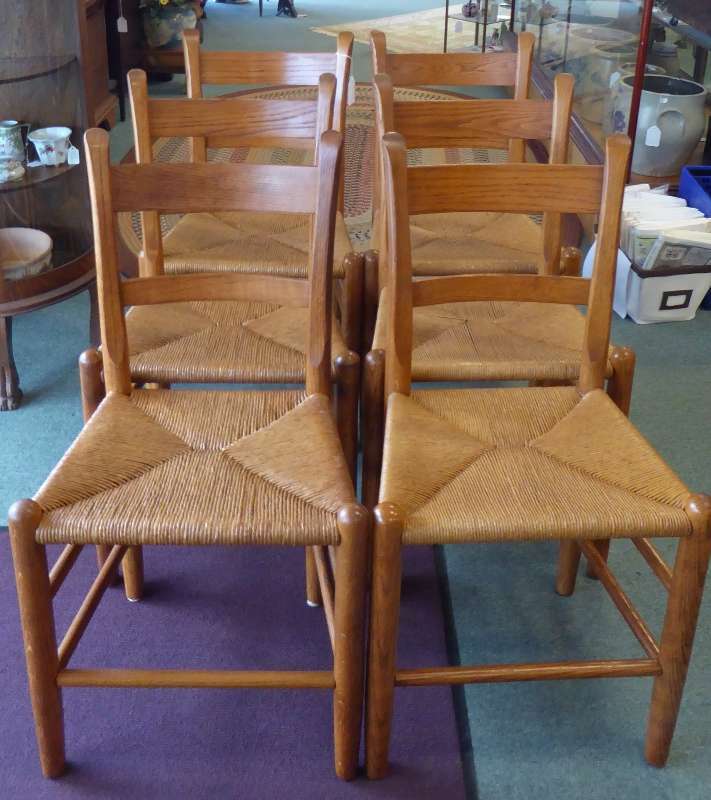 Booth 411 – Set of 6 EA Clore Chairs, $895.00. 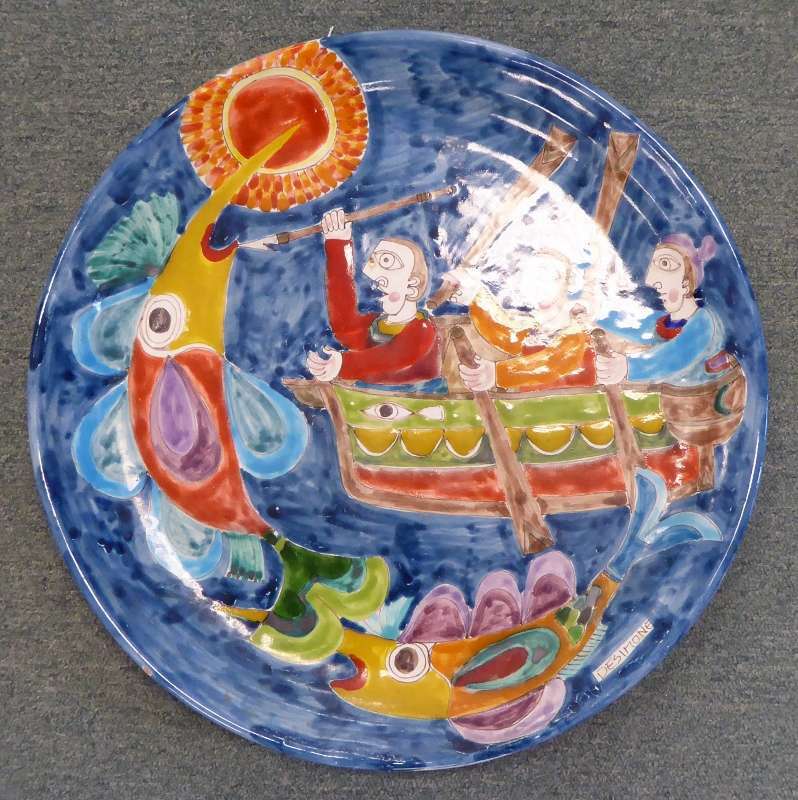 Desimone Charger from Booth 3 – $195.00. 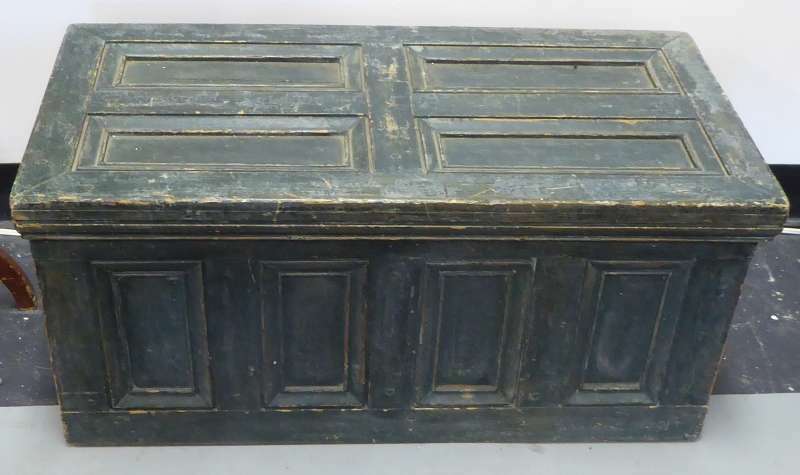 ‹ New Arrivals! 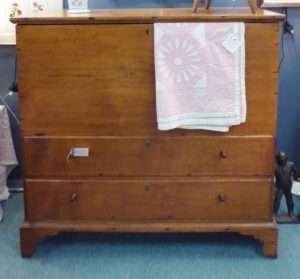 Walter Fleming Face Jug and a Spinet Desk!